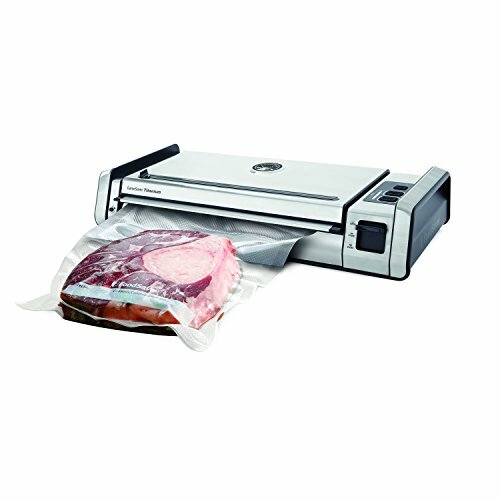 Keep your harvested fish and game fresh up to five times longer with the FoodSaver GameSaver Titanium Vacuum Sealer. Designed to accommodate large game and fish, this sleek stainless steel sealer is made for heavy-duty, repetitive use. Provides over 100 consecutive seals and offers single and dual seal capabilities. The wider sealing strip fits up to a 15 inch heat-seal roll for even more room to store your catch.